Home › Multivariable Calculus › Palindromic license plates! On my trip back from DC this weekend, I saw my first palindromic license plate! And after a quick Google, search, I found out that I am not alone loving these sorts of things. 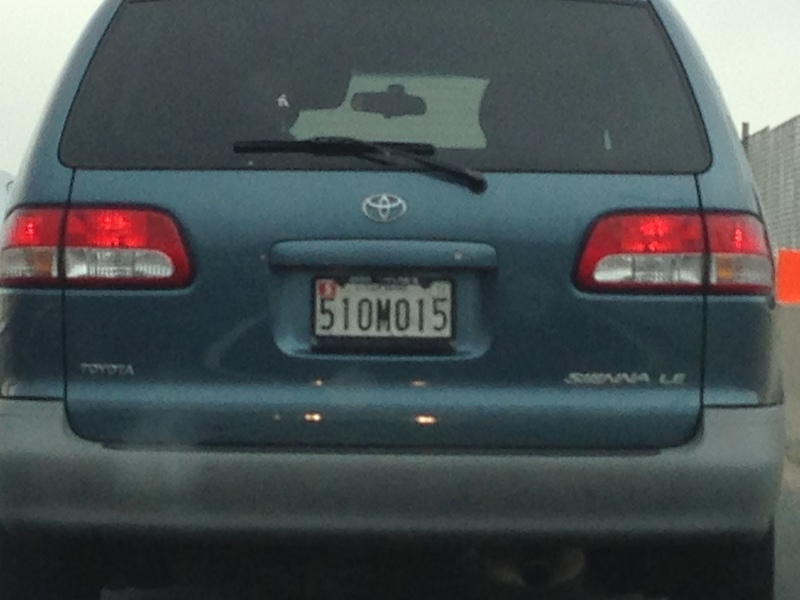 Which is perhaps not surprising given the odds of finding a palindrome on a standard-issue (seven digit) license plate. What are the odds you ask? Comment on this post if you can sort out the solution. Hi Harvey, Alan from UK. I have such a plate ado4 oda, this is the legal spacing in the UK but a palindrome none the less. Hope you can find one in Delaware. Rgds Alan. It looks better on the car as ADO4 ODA.